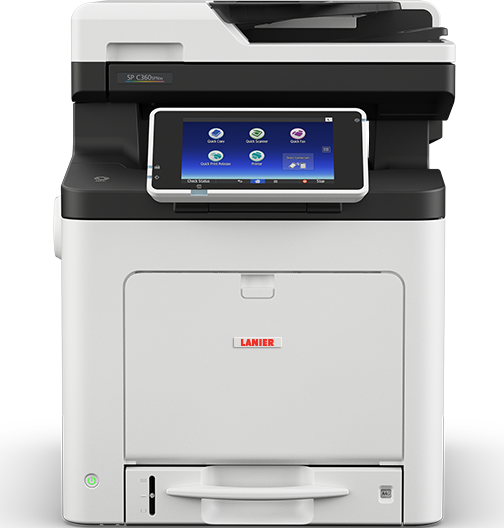 Keep your small-office staff or team of up to four people highly productive with the compact Lanier SP C360SFNw Color LED Multifunction Printer (MFP). This budget-friendly desktop device offers print, scan, copy and fax, and produces up to 30 pages per minute (ppm). Print documents with up to 1200 x 1200 dpi resolution in color and black and white without slowing down. Plus, reduce overhead expenses with a low cost per page (CPP).